The Fittest on the Planet Does Yoga? 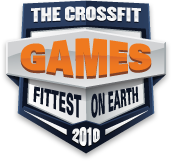 We know CrossFit Games champ Graham Holmberg can deal with the unknown or unknowable. But Holmberg also enjoys dealing with the unknown when participating in yoga classes led by his fiancée, Savanna Wilson. For the co-owner of Rogue Fitness/CrossFit Columbus, it's refreshing to be able to stop planning workouts for 45 minutes while following a series of movements created by someone else. Holmberg uses yoga to improve his flexibility, but he also uses it to work on his concentration and intensity during focused movement. Even so, he believes the flexibility benefits are unmistakeable, and flexibility is one of the CrossFit's 10 general physical skills, even if most of us ignore it completely. See the entire video in the CrossFit Journal.